Saab Parts > Alloy Wheels > Saab Alloys > 18" Alloy Wheels > Genuine Saab 7 Spoke Double 18 x 7.5 - SET OF 4 - SPECIAL OFFER! 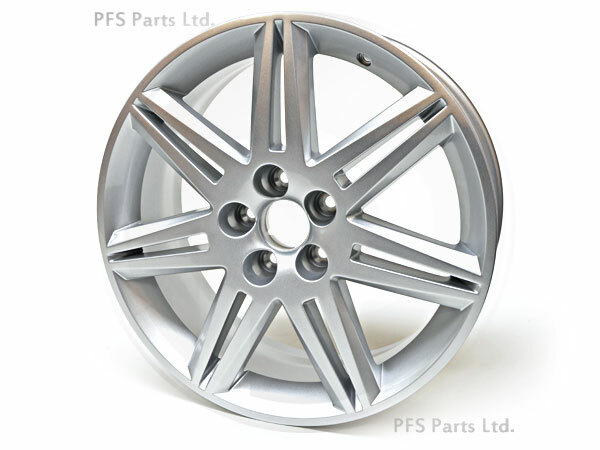 Genuine Saab - 7 Spoke Double 18 x 7.5"
Genuine Saab 18 inch diameter alloy wheels, supplied as a set of four. Centre caps are not included and would need to be ordered separately if required. Click here to view centre caps. These wheels have been discontinued by Saab, they will not be availble ever again once our stock is gone!